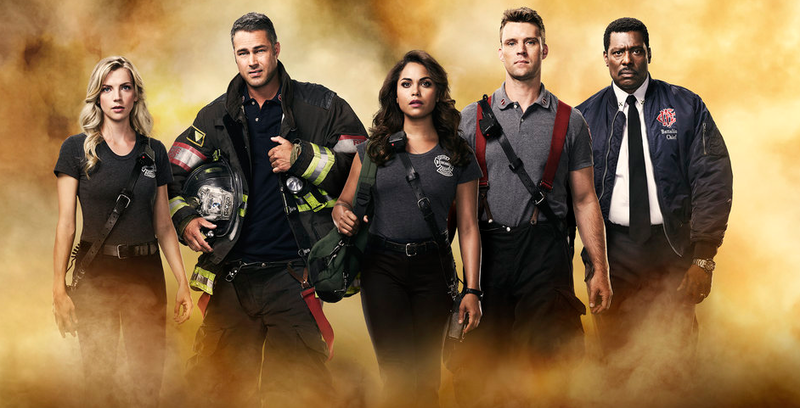 What is coming up on Chicago Fire season 6 episode 18? This episode is entitled “When They See Us Coming,” and you better believe that this is going be an intense, exciting hour of television. At the center of this one is going to be the firehouse in a position that they’ve been in before: Working with law enforcement. The big difference this time around is the specific type of law enforcement in which they are collaborating with. 04/12/2018 (10:00PM – 11:00PM) (Thursday) : When the FBI takes over Firehouse 51 for an undercover mission, Casey and Severide volunteer to assist with the investigation. Kidd attempts to help Severide come to terms with recent developments he’s been managing. There’s a lot to like about this episode in advance, mostly in terms of getting to see the continuation of what’s happening with Kidd and Severide following the arrival of his mother — and the sudden news that she may be getting back together with his father. This was one of the more interesting plot threads tonight and there is obviously so much more here to explore. Related – Want to get some other news when it comes to the NBC series alter this season? The promo offers up a substantial amount of insight into the episode beyond anything that we’ve discussed so far, including what is a terrifying moment in which some of the firefighters are going to be held at gunpoint. It’s true that you never quite know what happens when you get a call, but you have to hope that it’s going to be a little less horrifying than this. To think, this is the second time as of late that the firehouse crew has found themselves in a position where their lives could be in danger due to gunfire. What do you want to see when it comes to Chicago Fire season 6 episode 18? Then be sure to share in the comments below!